Assembly Bill 746, authored by Marc Levine of San Rafael, would prohibit smoking in all condominiums and apartments, as well as other types of residence where units share walls, floors, ceilings or ventilation systems. The proposed ban does not include free-standing homes, which make up about two-thirds of the residences in the state. Levine added that secondhand smoke “is especially troublesome for children who have no choice but to breathe” it. 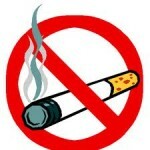 On January 1, the San Luis Obispo Housing Authority banned tobacco inside all of its residences. Both the city and county of San Luis Obispo have passed outdoor smoking bans in the past three years. In the past three decades, Californians’ smoking habits have decreased sharply. More than 25 percent of Californians smoked cigarettes in 1984, but only 11.9 percent smoked in 2010. California now has the second lowest smoking rate in the country behind Utah. Intrusive government is here to stay unless we all wake up and take a serious stand against it. Wait much longer and we will all be regulated right out of our own Constitution. Unfortunately we, as a society, have been conditioned for it since the late 60’s. Look at even the beginning school years: teach conformity with the system rather than critical thought. It was deviously hidden inside money (as is usually the case) that was tied to performance that was tied to test scores, etc. So now schools are merely preparation for conformity of large, centralized bureaucracies. Why do you think that anyone who does not conform (which used to be cool) is now ostracized by the very people who once rebelled against the establishment? Sad to say it, but it starts with our public indoctrination centers, and most new / young teachers do not even know that is what they are doing since nobody studies history anymore (at least until they can re-write the history books… again).